You have a dream of completing college or trade school. We want to connect you to scholarships that will make your dream a reality! We have a wide range of scholarships based upon where you attend high school or college, where you live, your college major, your background and your activities. They are all accessible through our one online application. Click the link below to get started! Feb. 14 – Scholarships for high school seniors – this deadline has passed. May 30 – Scholarships for current college students and some high school seniors. We reopened a few high school senior scholarships because of a lack of eligible applicants. Check out our revised guide with screenshots and written explanations help you complete the online application. Find out which scholarships might be available to you. Our Scholarship Grid provides basic information about scholarships available through the Community Foundation of Shelby County online application. The grid is an Excel spreadsheet that may be sorted by high school, major, grade point average, residency, participation and other factors. Most scholarships have other eligibility factors not shown on the grid. To sort in Excel, select a single column and use the Sort & Filter tool in the Excel toolbar. You can also use the Custom Sort tool in the Sort & Filter section to sort by multiple columns. Can I complete one application to apply for more than one scholarship? Yes! 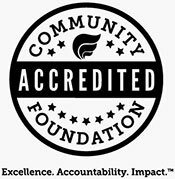 You may be able to apply for several scholarships by completing the Community Foundation’s online application. Some scholarships may require additional information, so make sure to read the brief information about each scholarship presented as you complete the form and add any information or attachments requested. Your answers to questions about your high school, residency, college, major, grade point average or other factors determine the scholarships presented to you on the form. Be truthful about your answers so that the right scholarships appear on the screen for you to consider. If you have questions, please contact us in the days and weeks BEFORE the deadline. We will not accept a printed paper application form, but you may mail, email or deliver items you are unable to attach, such as letters of recommendation, your FAFSA EFC document or your transcript. We will gladly scan your documents and attach them to your online application, if submitted before the deadline. All items must be attached and the online Submit button must be clicked by you before the deadline. What if I have started an application and I try to go back and log in, but it says I do not have an application? This may occur if you have not gone back to the original link on our webpage and clicked: Community Foundation of Shelby County 2019 Scholarship Application, see above. You must return to this link each time you want to enter the application again. It is also possible that you registered for an account, but have not yet started the application. Click on the application link above, log in and click ‘Begin Search’ to start an application. See the Scholarship Application Guide for help in working through the application. Do I need to add anything to my application for the May 30 scholarships, if I submitted it before the Feb. 14 deadline? No, your application will go forward to be considered for May 30 scholarships for which you applied and are eligible. When you clicked ‘Submit’ your application locked. Should you want to view or add information to your submitted application, contact us at info@commfoun.com to have your application unlocked. Once unlocked, you can view and edit your application, but you must again click ‘Submit’ to have your application resubmitted to us and able to be considered for scholarships that have a May 30 deadline. What is the purpose of the green Begin Search button? This is the button where you will answer questions in order to be directed to any of the 70+ scholarships for which you may be eligible. Once you answer the questions, a screen will come up that has a list of scholarships on it. Click all of the scholarships you want to apply for and then hit the Save to My Applications button at the bottom of the page. I answered several questions and then the system asked some of those same questions later. Why? The first set of questions are what we call ‘matching questions,’ meant to match you to all Community Foundation of Shelby County scholarships for which you may be eligible. Then, the online application needs you to enter your information into the actual online application. There are usually one or more scholarships for which local students are eligible. Once you complete the information in the online application for one scholarship, it auto fills the information into other applications for other scholarships we administer. You will need to check My Applications in the top right of the application screen to complete any additional requirements of each scholarship listed and to click Submit to apply for each scholarship. Can my college reduce financial aid because of a scholarship award? Will you accept other financial documents if I have not completed a FAFSA form or received an EFC number? No. At this time, we will only accept the Expected Family Contribution (EFC) number from the Free Application for Federal Student Aid (FAFSA) (go to studentaid.ed.gov/sa/fafsa) for our scholarships that have ‘financial need’ stated as a selection criterion. There are a few scholarships that do not require you to submit financial information. By answering ‘No’ to the question regarding your intent to submit financial information, you will be given the opportunity to continue to apply for scholarships that do not have ‘financial need’ as a selection criterion. This will greatly reduce the number of possible scholarships available to you. Students who answer ‘Yes’ will be given the opportunity to view scholarships that do and do not require your EFC information. Often a scholarship selection committee must consider many factors when selecting a scholarship recipient. Your EFC number is only one piece of what is considered. We encourage you to complete the FAFSA, attach your EFC document and answer ‘Yes’ to the financial information questions on the Community Foundation scholarship application. Must I submit an 'official' transcript? We do not require an ‘official’ transcript (one that is printed on special paper or with a raised seal in one corner). You may include with your application a scan of an official transcript, an unofficial transcript, your college advising report or, if necessary, grade cards (least preferred). We will not accept grade information you type yourself. How do I find the school district in which I reside? Your home is within a school district where you or your parents pay school district property or income taxes. Real estate tax invoices or pay stubs noting a School District Income Tax (SDIT) may provide that answer. If you or your parents vote, you are sometimes given the opportunity to vote for the school board members or levies for the district in which you live. If you still do not recall the district where you reside, you may need to call your county Board of Elections or Treasurer’s office to ask. The answer you give on the scholarship application may enable you to be considered for scholarships that are for people who live in a particular school district or region. With Open Enrollment or attendance at a private or parochial school, the high school you attend may be different than the school district in which you live. Which college expenses may be paid with a scholarship? Tuition, fees, books, supplies, and equipment required for courses of instruction at an accredited educational institution.